An NOC may enter a maximum of 3 qualified athletes in each individual event if all entered athletes meet the A qualification standard for the respective event, or 1 athlete per event if they have met the B qualification standard only. 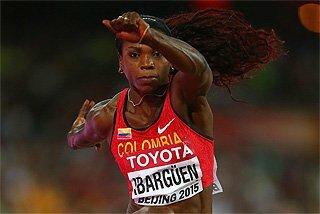 An NOC may enter a maximum of 1 qualified relay team in each relay event, with a maximum of 6 qualified athletes in accordance with IAAF Rule 170.17. 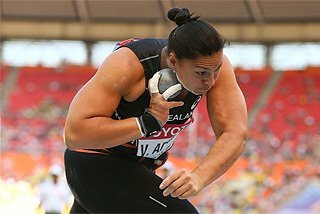 Should an NOC have entered individual athletes and a relay team in the same distance, the entered individual athletes must be included in the total of 6 athletes entered for the relay events. NOCs without qualified athletes may enter a maximum of 1 male and 1 female in accordance with the specifications of the qualification system. Athletes must reach the qualification standards as set by the IAAF for each event from 1 January 2007 (1 September 2006 for marathon events, combined events and race walking events) until 23 July 2008 for individual events and from 1 January 2007 until 16 July 2008 for relay events in order to be eligible to participate in the athletic events of the Beijing 2008 Olympic Games. The NOCs must submit the names of all their athletes (even if they did not achieve their qualifying performances) on the official entry forms to the Organising Committee for the Beijing 2008 Olympic Games by 23 July 2008. The entry process will then be considered closed. In athletics, in the specific case that an athlete who has not reached the minimum qualification standard before this date reaches it between 23 and 30 July 2008, the NOC, if it so wishes, may make a request to the IOC in order that this athlete may be considered for entry. The request must be submitted by 31 July 2008 at the latest. The IOC will, in consultation with the IAAF, then evaluate each case specifically. The final implementation of this system will be confirmed to NOCs in due course. The 'A' qualifying standard for individual events will be the more difficult standard. NOCs may enter more than 1 athlete, and a maximum of 3 athletes, per event only if all have met the 'A' qualifying standard. 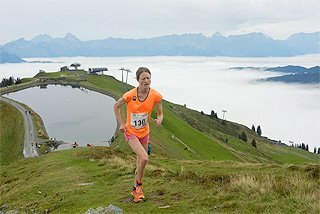 This qualification standard must be met between 1 January 2007 and 23 July 2008, with the exception of marathon events, combined events and race walking events, for which the qualification standard must be met between 1 September 2006 and 23 July 2008. These standards will be published by 1 December 2006. NOCs may enter a maximum of 1 qualified athlete per event if he/she has met the 'B' qualifying standard. This standard must be met between 1 January 2007 and 23 July 2008, with the exception of marathon events, combined events and race walking events, for which the qualification standard must be met between 1 September 2006 and 23 July 2008. These standards will be published by 1 December 2006. 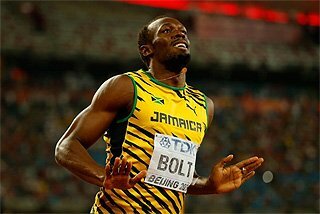 There shall be a maximum of 16 qualified teams in each relay event, based on the aggregate of the two fastest times achieved by national teams at IAAF recognised international events in the qualification period of 1 January 2007 to 16 July 2008. A total of 6 athletes may be entered for a relay team. Should an NOC have entered individual athletes and a relay team in the same distance, the entered individual athletes must be included in the total of 6 athletes entered for the relay events. NOCs for which no male or no female athlete has reached the required qualification standards will be allowed to enter their best male athlete and their best female athlete for 1 athletic event each, with the exception of the combined events, 10.000m and 3.000m steeplechase. This applies equally to unqualified female entries from an NOC with qualified males, and vice versa. Athletes from NOCs which have requested such entries may reach the specified qualification standards between 30 June 2008 and 23 July 2008, in which case they would no longer be entitled to enter additional unqualified entries in the gender of the qualified athlete. 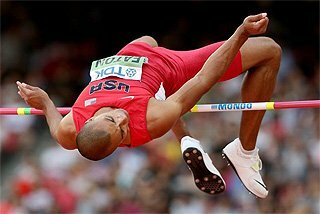 Acceptance of unqualified entries in field events will be at the discretion of the IAAF Technical Delegates, based on the technical standard of the athlete and the numbers of qualified athletes in the respective event. The athletes concerned must be competitive at international level, proven through participation at recognised IAAF international events. 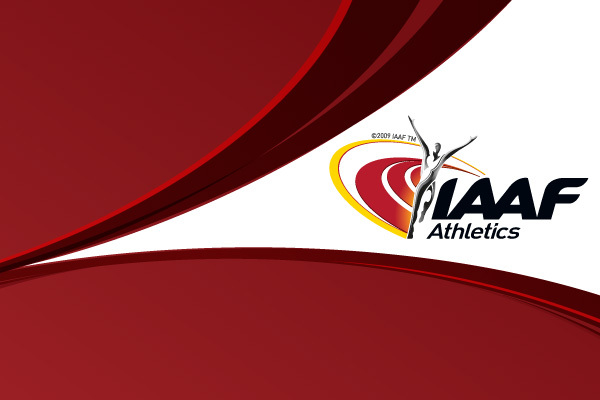 In order to allow the IAAF Technical Delegates to assess the technical level of athletes requesting entries through this process, applications must be submitted by NOCs to the IAAF by 30 June 2008 on the appropriate IAAF form. The application must specify the event in which the entry is requested and the proof of the technical level and international participation of the nominated athlete. 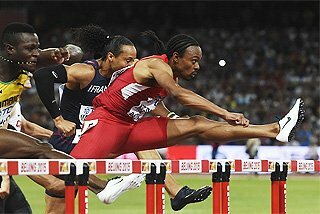 The IAAF Technical Delegates will confirm by 23 July 2008, in writing to NOCs the approval or otherwise of the entry of the specified athlete(s). For the Marathon Races and 50 km Walk Men, senior athletes only (any athlete aged 20 years and over on 31 December 2008) will be accepted. 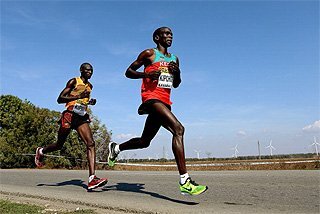 Junior athletes (any athlete aged 18 or 19 years on 31 December 2008) may compete in any event except the Marathon Races and the 50km Race Walk. 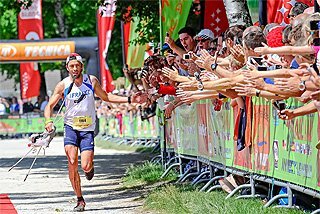 Youth athletes (any athlete aged 16 or 17 years on 31 December 2008) may compete in any event except the Throws and Decathlon (male athletes only), 10.000m, Marathon and Race Walking. Athletes younger than 16 years of age on 31 December 2008 CANNOT be entered in any event. Should an NOC have 4 or more athletes who have reached the 'A' standard in a particular event, the NOC may nominate 3 athletes on 23 July 2008 to be accredited for the event, and also nominate a 4th athlete who would be considered as a reserve (alternate). This reserve could be selected to replace an entered athlete until the time of the technical meeting for the respective event, one day prior to the first competition in the event, and the accreditation status of the replaced athlete transferred to the newly entered athlete. Should an NOC have 2 or more athletes who have reached the 'B' standard in a particular event, the NOC may nominate 1 athlete on 23 July 2008 to be accredited for the event, and also nominate a 2nd athlete who would be considered as a reserve (alternate). This reserve could be selected to replace an entered athlete until the time of the technical meeting for the respective event, one day prior to the first competition in the event, and the accreditation status of the replaced athlete transferred to the newly entered athlete. 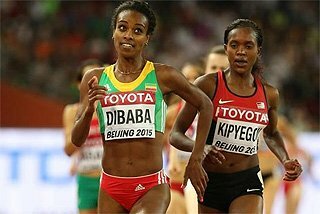 3.8.1 All performances must be achieved during competitions organised or authorised by the IAAF, its Area Associations and its National Member Federations. 3.8.2 Results achieved at university or school competitions must be certified by the National Federation of the country in which the competition was organised. 3.8.3 Performances achieved in mixed events between male and female participants, held completely in the stadium, will not normally be accepted (see IAAF Rule 147). 3.8.4 Wind-assisted performances will not be accepted. 3.8.5 Hand timing performances in 100m, 200m, 400m, 110m/100m Hurdles and 400m Hurdles will not be accepted. 3.8.6 Indoor performances will be accepted. 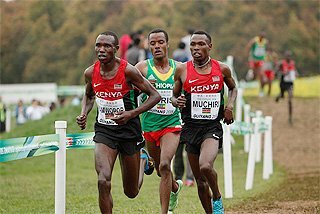 3.8.7 A list of qualifying competitions for the Marathons, the Relays and Race Walking Events, which meet with the IAAF's qualifying criteria, has been approved by the IAAF for 2007 and for 2008. The respective lists are available as pdf files on the top right-hand-side of this page. 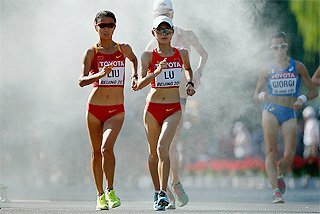 3.8.8 The first 20 runners in the Men's Marathon and in the Women's Marathon in the World Championships in Athletics of Osaka 2007 will be considered as having met 'A' qualification standard. Deadline for NOCs to make a request to the IOC that an athlete reaching the minimum qualification standard between 23 and 30 July 2008 be considered for entry. NOCs shall enter qualified athletes to BOCOG by the Entry by Name deadline of 23 July 2008. The entry process will then be considered closed. These entries shall be verified and approved by BOCOG in liaison with IAAF Technical Delegates. 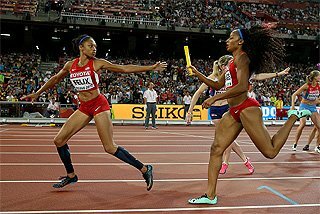 Following the qualification deadline of 16 July 2008, the IAAF will confirm the list of 16 qualified teams for each relay event. Should an NOC confirm to IAAF that they will not enter a qualified relay team, the qualification place will be reallocated to the NOC with a relay team which has recorded the next fastest time in an official IAAF international event in the specified period.